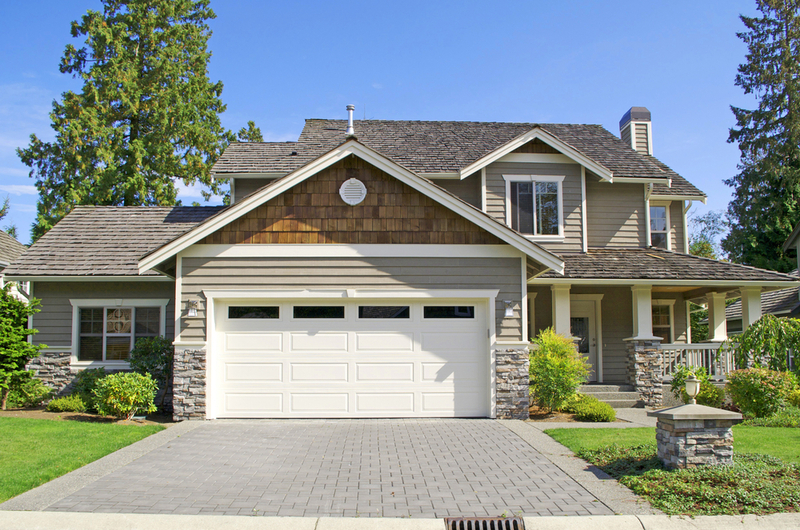 Replacing your garage door is one of the best value investments you can make to your home. Buying a new garage door is a once- or twice-in-a-lifetime project for most homeowners. If the time has come to replace yours, either as part of a remodel or because the old one has outlived its useful life, you are likely in unfamiliar territory. In this article, we’ll help you understand the many aspects of buying a garage door so you can choose the perfect one for your home with confidence. 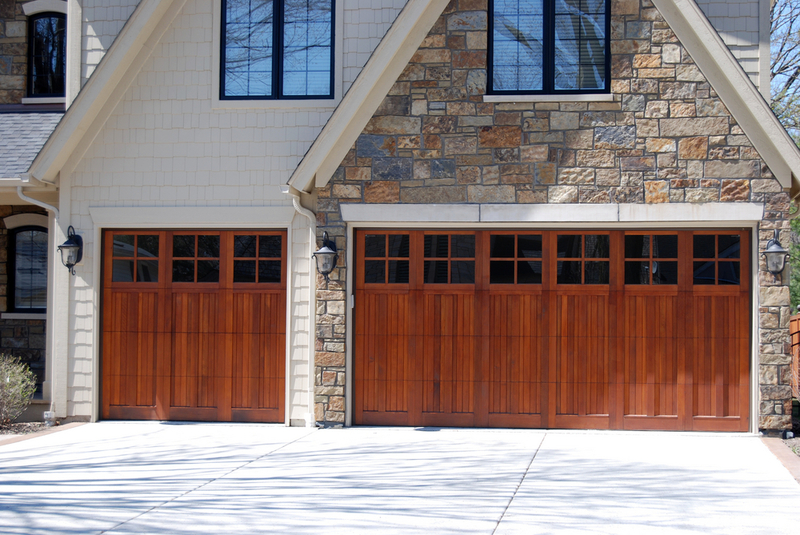 Replacing your garage door is one of the best value investments you can make to your home. According to Remodeling Magazine’s 2015 Cost vs. Value Report, which estimates the return on investment of remodeling projects, the benefit of replacing your garage door is second only to replacing your front door. When it comes to increasing curb appeal, newer, more attractive doors are clearly a winner. 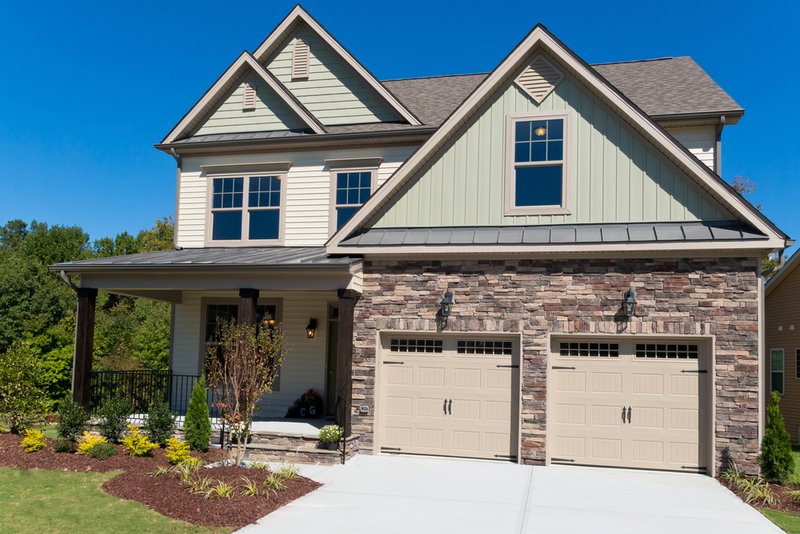 Here are the six most important factors to consider for your new garage door. Garage doors don’t have to be an expensive investment. Prices start at less than $500 for a single car garage door and under $100 for a simple garage door opener. From there, they go up based on size, material, insulation levels and decorative elements, plus the horsepower and features of your garage door opener. A standard two-car garage door with an automatic opener and professional installation will typically run somewhere between $1,500 and $2,000. 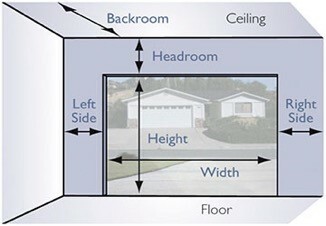 Before you begin your quest for a new garage door, measure your garage’s opening. You should do this even though a professional will be installing the door for you, because size will be the best guide for determining how much your door will cost and what style and materials are going to work best for you. Here is a handy guide for measuring your door. The next step is to determine the right material for you. The material you choose affects the look, longevity and maintenance requirements of your door. The four main types of material are steel, aluminum, wood and composite wood. Steel is the most popular material, as it has the widest range of options in color, insulation and price. Modern steel doors can be embossed with wood grain patterns to give you the look of wood without the maintenance. They can also be painted to match the exterior of your home. Steel is also a very durable option, as it doesn’t warp or crack. Most doors are hot-dipped galvanized steel with the primer baked on, meaning it won’t rust or require frequent repainting. The biggest drawback to steel, however, is that it can dent—and when it does, it’s not a simple repair. To mitigate this, consider a lower gauge steel door. The lower the gauge number, the thicker the steel, and the less susceptible it is to denting. Top-quality steel doors usually are at least 24 gauge. Aluminum is a good choice if you want a more modern-looking door. An aluminum frame paired with frosted or clear glass or acrylic panels creates a striking aesthetic. It is also rust-resistant and extremely lightweight. Aluminum, however, is even more susceptible to dents than steel. Wood offers a truly signature look and is hard to beat for superior curb appeal. Although they come with a higher price tag and higher maintenance requirements, they can be easily painted or stained to achieve the exact look you want. Wood doors are less susceptible to accidental damage and can be more easily repaired. Additionally, when properly cared for, they offer expectation durability. Composite Wood is an excellent alternative to real wood because it is durable and low-maintenance. These doors often have a steel interior and a faux wood composite overlay to achieve the benefits of steel with the look of wood. Once you’ve decided on your size and material, you can determine whether you want to buy a ready-made door or if you’ll need to have one configured to fit your specific needs. Many retailers offer online tools that you can use to put together the ideal garage door. Should you insulate your garage door? Yes! If the garage is attached to the house, insulation is an added layer of defense against wasted energy. This is especially important if you have a room above your garage. Triple layer doors –polystyrene or polyurethane insulation. Polyurethane is a liquid that expands and hardens, offering a higher insulation value than polystyrene, which is cut to fit the door panel. All insulation has an “R-value.” The higher the R-value, the better the insulation. As well as improving energy efficiency, insulation also helps reduce noise, improve security (as it makes the door stronger) and increase durability. While the material you choose will largely dictate your style, there are other additional features to consider, including windows, hardware and paneling, all of which can increase the elegance of your garage door. A popular style right now is the carriage door (pictured above). Additionally, window designs that incorporate wrought iron, arches or grills can transform the look of an ordinary garage door and help your home stand out from the crowd. Once you’ve got the perfect garage door, you need a garage door opener. The first choice to make is the way your opener will be operated: either by chain, screw or belt drive. Belt drives use a rubber belt to open and lower the door along the rails. There is no metal on metal contact, resulting in a quieter, smoother operation that requires no ongoing maintenance. 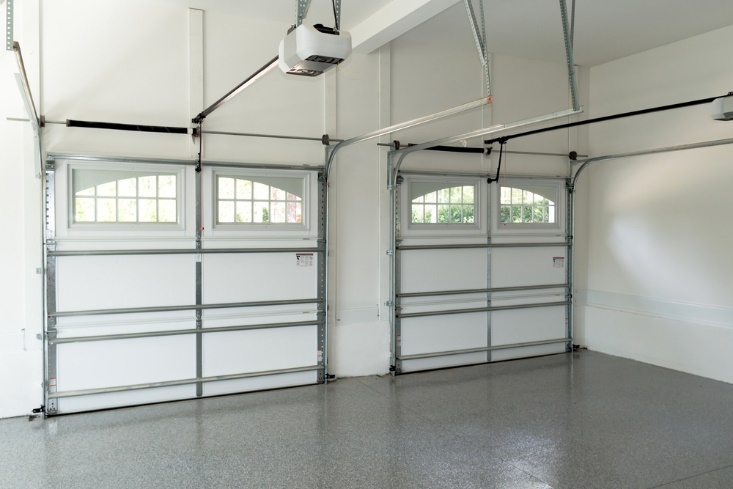 Screw drives use a threaded steel rod to raise and lower the garage door, which needs to be lubricated regularly. Chain drives work by attaching a chain to a metal trolley. It is the most economical option, but the metal-on-metal interactions result in a nosier operation then the other choices. The second choice is the horsepower of the motor. The higher the horsepower, the more weight the opener can handle. The standards are ¼, ½ and 1. Some newer models offer 1 ¼. You will need to check the weight of your new door in order to determine the minimum horsepower you’ll need. A higher horsepower motor is generally more durable, as there is less strain on the motor during use. In addition to the above, all door openers should have a manual emergency release and sensors that prevent the door from shutting if something is in the way. Optional extra features to consider include vacation settings that allow you to disable the opener while you are away, battery backup that can open the door when the power is out, and wireless keypads that allow you to open the door from the outside without a remote control. A relatively new feature is the addition of “smart home” capabilities to garage door openers, courtesy of a Wi-Fi connection. These garage door openers can be operated via a smartphone app, which lets you know if your garage door is open or closed and allows you to open and close it remotely. It can also integrate with other smart home devices you own, so your house can do useful things such as turn on your lights when you open your garage door. Now that you’re armed with all the information you need to choose your new garage door, selecting the right one will be an easy and straightforward decision, one which will have a positive impact on your home’s appearance, safety and value. Jennifer Tuohy is a mother of two who writes about technology for homeowners. Her expertise ranges from the latest updates in garage door openers to sustainable smart home solutions. You can view a selection of garage door openers like the ones Jennifer mentioned here at The Home Depot.